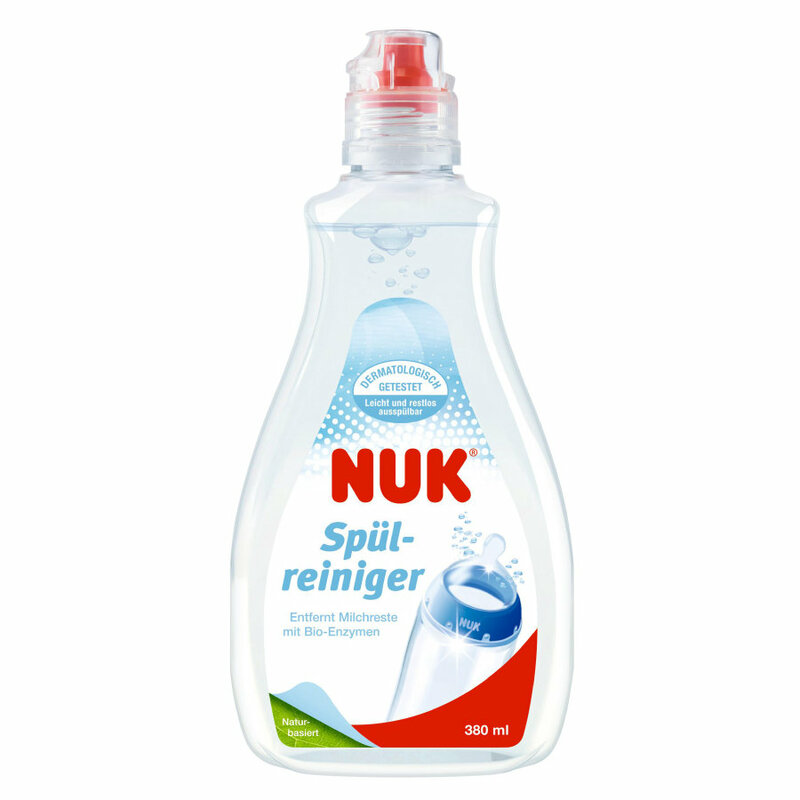 NUK Rising Agent has been developed specifically for cleaning all types of baby products. It is based on natural ingredients. It contains specific enzymes which effectively remove milk protein, pulp and juice residues. Its mild formula makes it 'baby safe'. Simply add a measure of the NUK Rinsing Agent to a little warm water, and wash your baby's bottles, teats, cups, training cutlery and also breast pump parts and rinseable toys or other parts that have contact with the mouth. How does The NUK Rinsing Agent with Foam Dispenser work? During the first months, baby food consists of milk and mash. Ground in milk proteins remain in bottles, teats and cutlery and can spread germs and bacteria and bad odours. NUK Rinsing Agent is therefore very mild because we did not add ingredients that are unnecessary for cleaning baby food. Instead the NUK Rinsing Agent contains enzymes that act against milk protein and thickeners. The foam dispenser creates foam while pumping, which quickly cleans the right spots of the dirty bottles, teats and accessories. It is easy to dose and very economical.